Sometimes the little tricks can make a big difference in everything we do. Below you’ll find 5 return of serve tennis tips that could greatly improve your technique and footwork. When you practice the return of serve always imagine that you are returning while having your back against a fence. 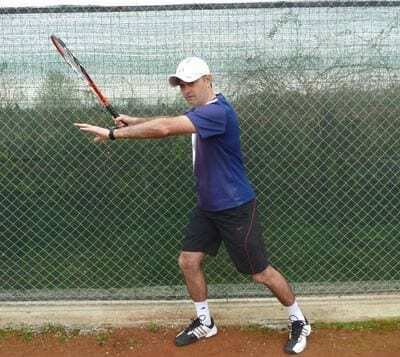 In this way you will not take the racquet too far back; instead you will focus on preparing it behind the path of the incoming ball thus contacting it out in front. Do not treat the return of serve like you do a ground-stroke! The serve usually comes at a higher speed than a ground-stroke and from a higher point of contact. Which means on the return of serve you deal with a faster and higher bouncing ball. Make a small step forward followed by a split step as your opponent tosses the ball up. This action will get the body in balance and putting the weight towards the incoming ball. If you see your opponent tossing the ball over the non-dominant shoulder (kick serve toss) lean and move forward to take the ball on the rise. Failing to do so will put you in a tough situation when you will have to deal with high balls of which contact could be above your shoulders. When receiving serve you should sometimes challenge the server by standing more towards your weaker side. For example, when receiving from the ad side, move over toward the alley so that you show the server a bigger opening to your forehand (assuming this is your strong side). By doing so you put pressure on the server to either stress aiming to the little room he/she has left on your backhand side or make him go for the big opening which is your strong side (the forehand). 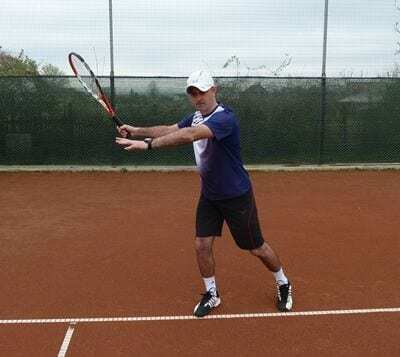 If you enjoy these return of serve tennis tips check out Serve & Return of Serve Drills video section from WebTennis24.